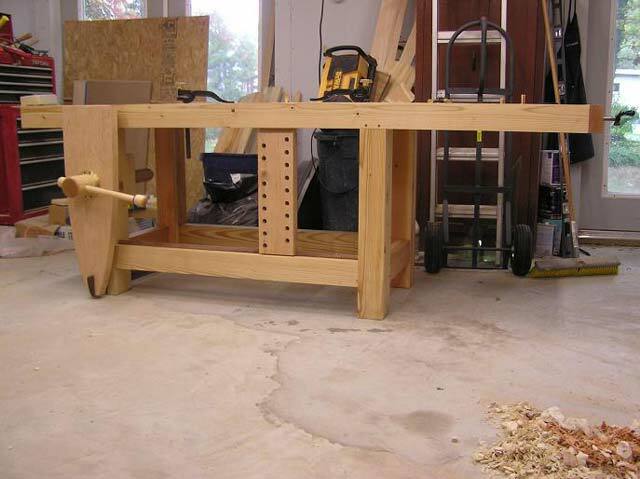 Adding our December 2010 Workbench of the Month from Jonathan S. of Beltsville, Maryland to our Lake Erie Toolworks Blog for ease of access and historical awareness. It was great to meet you guys at Woodworking in America. 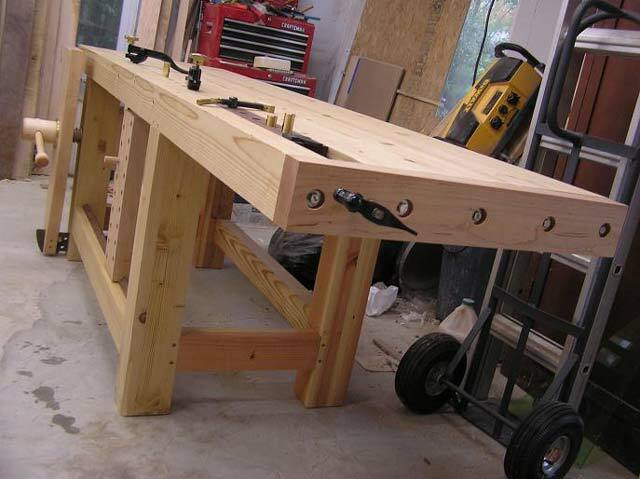 As I promised, here are the photos of my workbench. I finally got the finish on it to make it more photogenic. 🙂 Take care. 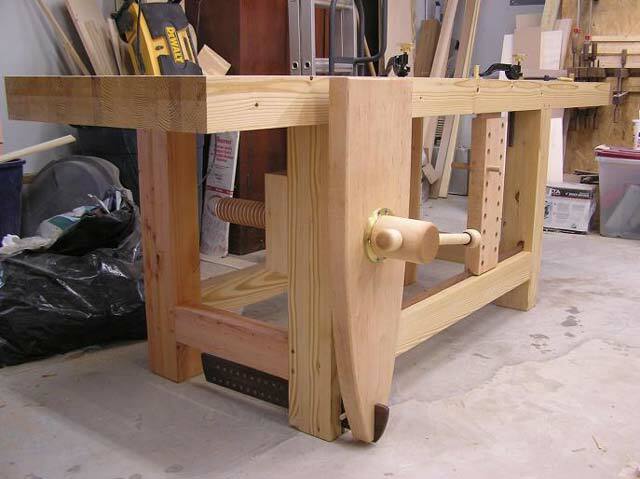 Note: Jonathan has provided some great documented install instructions for his leg vise above (see attached links), but also mentions that he wasn’t able to find vise screw install instructions on our website, which we posted quite some time ago. This was a great call to action to more clearly feature our current leg and twin screw vise installation instructions in a more prominent place on our website (Under “Install / Video / Info” Tab). Also, we are currently working on additional vise type install instructions for shoulder, wagon, face and end vises as well which should be posted in the near future.